Last month, we visited the beautiful Viktor & Rolf: Fashion Artists and Atelier: Viktor & Rolf for Kids installations at the National Gallery of Victoria. The Atelier: Viktor & Rolf for Kids installation is a beautiful space that lets children be curious and foster their understanding and love of working in a fashion atelier. For our review of the installations, head here. Viktor and Rolf met in 1993, the second week into their fashion studies and have been inseparable since. Their love for opulent and rebellious fashion carved a niche for them in the fashion industry. Their second love is their dachshund dog, Little Swan. 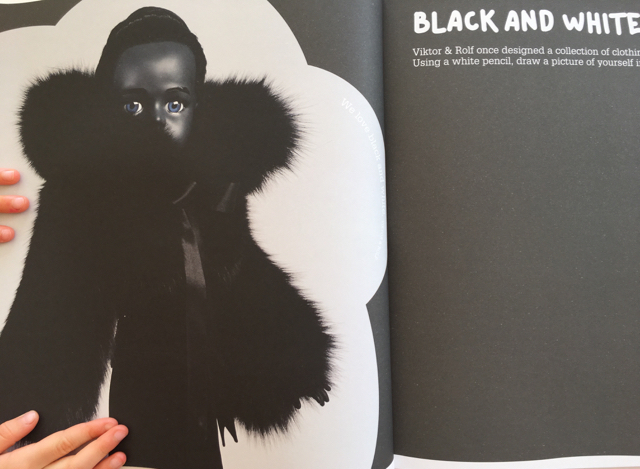 To coincide with the exhibition and kids' installation, the NGV published Viktor & Rolf: Fashion Artists - A Drawing Book for Kids. 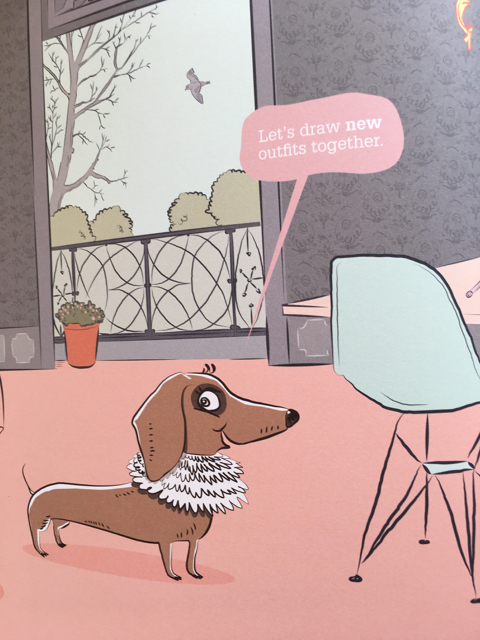 This beautifully illustrated book tells the story of Viktor & Rolf and Little Swan. Little Swan is the star of the book who guides readers and shows them the designers' creative vision and spectacular fashion collections. Kids are also invited to fill the activity book with their own fashion designs, drawings and paintings. 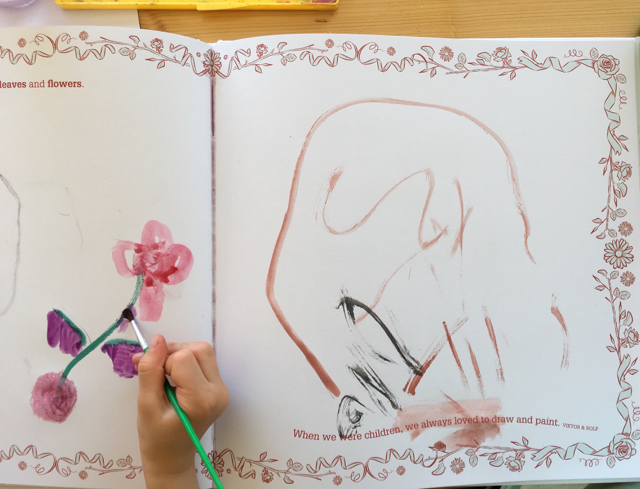 There are pages after pages of different settings where children can either follow the instructions or draw freely. It didn't take long for little Miss to take ownership of the activity book and make her mark. The book is also filled with fashion pieces from Viktor & Rolf's main exhibition Viktor & Rolf: Fashion Artists. Little Miss loved the different pages in the book as they presented a new surprise to her every time she would turn the pages and give her a new theme to draw or paint by. We loved this activity book and look forward to filling in many more pages in the future and for $17 we highly recommend it for your little budding artists! To celebrate, we are giving away ONE copy of Viktor & Rolf: Fashion Artists - A Drawing Book for Kids and ONE Family pass to visit Viktor & Rolf: Fashion Artists to one lucky subscriber. Subscribe and write a quick comment below to enter. Entries are now open and close this Friday 2nd of December at 5PM AEST. Winner will be announced on Facebook so please check on the day. If the prize is not redeemed by Monday 5th of December, the giveaway will be redrawn. For more book reviews, head here. For ideas on what to do with the kids, head to our blog.